Do you have older garage doors that are not working properly & may represent a potential safety hazard? Does your garage doors create the wrong first impression for your home? Do you have garage door panels that are deteriorating & require continual maintenance? Does your garage doors have damaged or bent panels? Build a new garage doors of your liking by choosing the door design that makes this door a perfect complement to your home. Further personalize by selecting windows, colors, insulation and/or decorative hardware for your new garage doors. 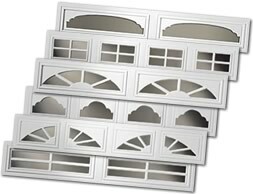 The styles are Traditional, Carriage house, Contemporary, or a Specialty Custom style new garage doors. In the Las Vegas, Henderson, North Las Vegas valley the most popular new garage doors used is the Steel Garage Door. Heavy-duty steel is the most practical material for Las Vegas because it is durable, inexpensive, and low maintenance. You can choose steel in a wide variety of colors to match your home’s exterior decor. additional vinyl-coated layer for insulation and quieter operation. The triple layer is the ultimate in energy efficiency and noise reduction. The other popular style in the Custom Estate homes is Wood garage doors. style door, we can take your new garage doors from functional to fashionable. JB Services will help you find the right material, color, window, and trim package to fit your budget. 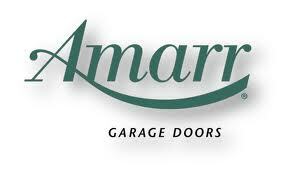 We can offer any brand of new garage doors you desire from either Wayne Dalton, Clopay, or Amarr.